To effectively launch your ideas and explode business results, we use data analysis, optimized strategies, inventive content, and a whole lotta enthusiasm. We love open collaboration with clients to develop customized, insanely powerful digital marketing solutions. Ready to have a team of experts lock down your in-house social media strategy? We will create a customized digital marketing blueprint that aligns with your brand goals and sales targets. First we perform a health-check and audit of all digital marketing efforts in order to provide immediate optimization solutions and training. Next we create a list of top-performing content marketing ideas. We'll even establish a how-to guide, best practices cheat sheet, role guidelines, and social media company policies to help beef up and systemize your digital marketing department. Finally, we put all these components together for a complete Social Media and Digital Marketing Strategy Blueprint designed to drive your business outcomes. With the blueprint in hand, we will train you and your staff how to use it to stay on top of your digital needs. Why hire an agency that will do "content management" for you, when you can partner up with a team of crusaders that will work fervently to crush your business outcomes for you? It's like "social media management" with a twist. We won't take up much of your time, but we will boldly ask that you collaborate with us. By brainstorming with you, we can get to the heart of your business and your goals. Then we'll design and implement custom digital marketing strategies that align with and optimize the rest of your customer acquisition funnel. By ramping up your brand presence on platforms like Facebook, Twitter, Instagram, YouTube, Pinterest, and LinkedIn with innovative media like video, photography, graphics/memes, live streaming, & creative copy...we will crush the competition and your growth targets for you, while you do what you do best (run your business). All of our plans are designed to keep your business flowing with leads - the Strategy will tell you how, and the Collaboration plan can include lead generation tactics (it's custom, after all). 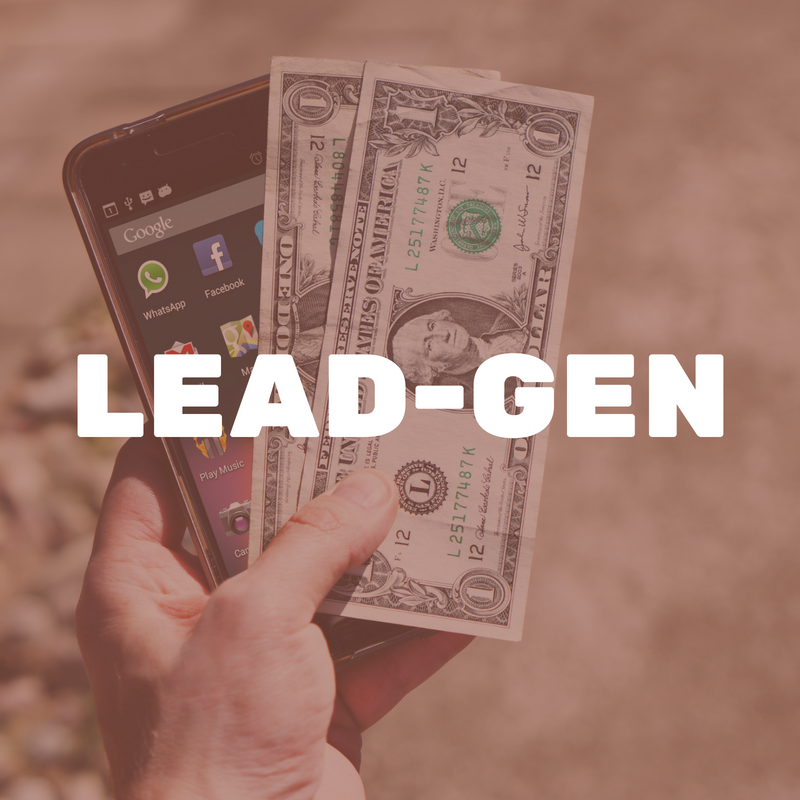 But if lead generation is your #1 focus, this is the plan for you. We will execute full funnel builds and system setup. From Facebook ad campaigns with the lowest CPA and highest ROI, to custom funnel build-outs and maintenance/testing, to retargeting through Facebook while nurturing through email...we can crusade for and crush your sales numbers. Whether you are brand new to the digital marketing world, or looking for an expertly-crafted full-blown campaign, we would love to hear from you. Drop us a line and let us crusade for you with a free strategy call!